Our final open education around the world blog post before the Christmas holidays [sorry – I realise Christmas isn’t a global holiday!!] 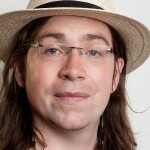 is from David Kernohan and is on the United Kingdom and primarily the impact of the Open Education Resources programme. David’s post compliments the one written by Lorna M Campbell last month on Open Education Scotland. David is based at Jisc, a registered charity that champions the use of digital technologies in UK education and research. 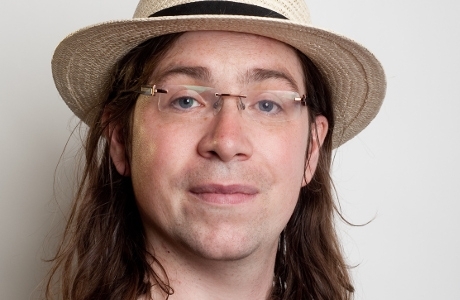 He works on online and open education within Jisc’s eLearning Innovation team and has managed a range of major initiatives in this area, most notably the Open Education Resources programme and emerging work around Massive Open Online Courses (MOOCs). He also has an expertise in English Higher Education policy and global HE trends, having previously worked for HEFCE as a policy analyst. You can contact David on Twitter. As a Jisc programme manager my life is structured by the shape of the programme I am currently working on. Because I always have my eye on what I need to do next (and by ‘next’ I generally mean ‘last week’) it can be difficult to take time to reflect on the wider ripples that are established when a programme-shaped stone is thrown into the choppy waters of the English higher education (HE) sector. The profile descriptions of people tweeting the #ukoer hashtag between March 2010 and Dec 2011. Image by Martin Hawksey, Flickr. The original aims of the UKOER programme were cultural. We were looking to bring about a change in common academic practice, a messy and long-term goal. 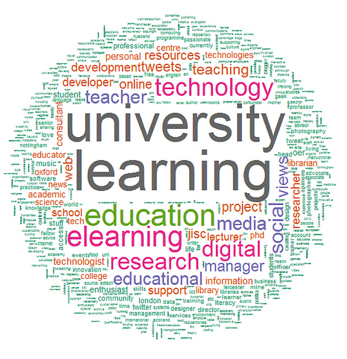 But most wonderfully, large numbers of individuals, groups and institutions continuing to create and share OER, either on their own curated sites or in the recently-revamped UK national OER repository, Jorum. 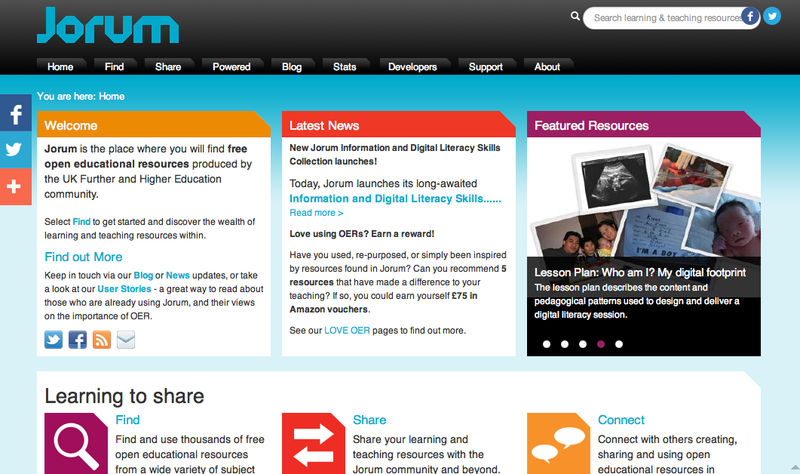 OER is now mainstream in England. All academics, even those who profess not to be aware of the programme, will know someone who uses or shares OER and would be happy to help them take advantage of the benefits of open practice. In many institutions it is embedded into policies and processes. I can’t take any credit for this, even if I did it would be shared with the likes of Amber Thomas, Sharon Waller, Joanne Masterton, Heather Price and Maggie Stephens just on the programme management side of things! Not to mention the army of amazing project and support staff. ‘Open Practice‘ was coined in research conducted around the programme and may yet come to be seen as the distinctive English contribution to the open education debate (with an obvious tip of the hat to the very Scottish Allison Littlejohn who had more than a hand in the development of the idea along with Lou McGill, David White and Helen Beetham). Open Practice connects the ideas of releasing educational materials open with other facets of academic life: publishing research and research data openly, blogging and participating in public conversations. This is an agenda that cuts beyond simply sharing content, though sharing content has become an easy induction to the concept of Open Education. 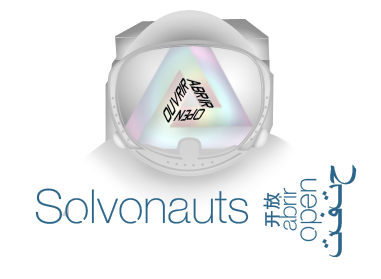 One of the most provocative commentating voices to emerge from the UKOER programme, Pat Lockley (who has recently been working on the Solvonauts search engine) likes to argue that the various ‘forms’ of openness have diverged so much that the term itself is now essentially meaningless. Certainly some practises in the world of MOOCs merit the use of the word ‘openwashing’, with content and data locked away from those who could make use of it. The UKOER licence journey is an interesting one – and at all times we have strived to keep things as usefully open (in the old sense of available to use, share and modify by all) as possible. Unlike every other major national open education initiative that I know of, we never mandated a licence for released content. In the first year we simply recommended any Creative Commons license (but with a presumption against ‘No Derivative’ variants), during years two and three we included a preference for the ‘free cultural works’ subset (attribution only, and attribution share-alike) but still did not mandate a licence. The reason we did this was to enable the release of materials that simply wouldn’t have been made available under a single standard license. From materials nervously released by academics who are just experimenting in the space, all the way through to materials where background rights prevented more liberal sharing (medical images being a very important example here), in choosing not to mandate we permitted – I think – a greater variety of works to be shared with a greater number of people. One fascinating example of this was where the PublishOER team at Newcastle worked with publishers Elsevier to produce resources. Obviously Elsevier, as a commercial publisher, wasn’t about to license a load of resources openly, but the team developed processes and practices for using materials that were not strictly speaking ‘open’. As ideologically impure as this clearly was, it reflected the reality of what a lot of academics do. Likewise the release of materials with restrictions – clearly better than not releasing the materials at all? On a similar real world tip, we never did resolve the thorny issue of statistics on OER reuse. Despite such counts not being a reliable indicator of quality or of usefulness, many were concerned that such measurements would be used only to constrain an emerging practice. But UKOER was one of the only non-US initiative to experiment with the Learning Registry, which collated and shared metadata around the use of particular resources – including comments and sharing. If I were asked to describe UKOER in one word, I would go for awesome. If you told me that I couldn’t use that world, I’d probably plump for broad. We let people do their own thing – sometimes they learned useful things, sometimes they set the world alight, mostly they just found something that worked for them and kept doing it. And that, to me, is why UKOER is still a very visible part of the online learning landscape – in the UK and abroad – and why it sustains such a rich and vibrant community. is this an ongoing open education program for the uk. will there be one next year?